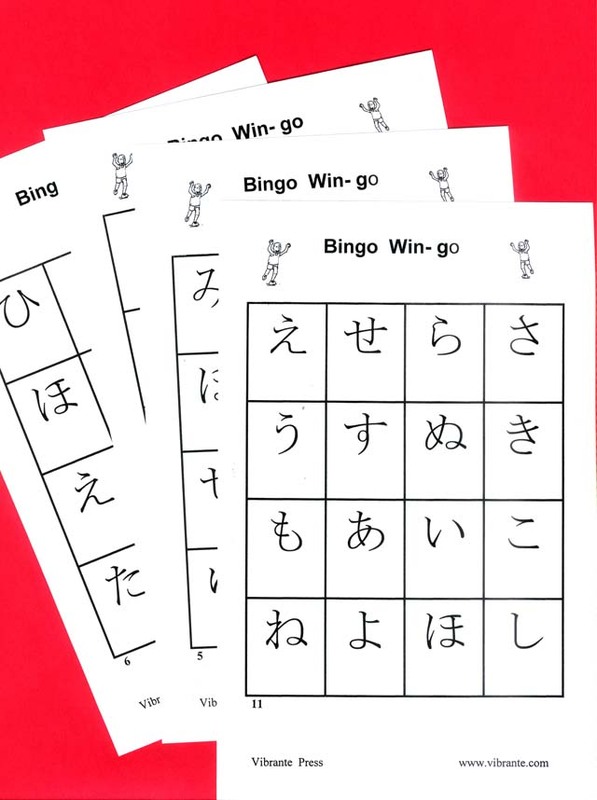 Japanese Alphabet Bingo by Lonnie Dai Zovi - What a great way to learn or reinforce the Japanese (hiragana) alphabet. There are 36 different student playing cards for large classes (or for students who want to better their chances by playing with two cards) . The teacher calls out one letter at a time and the students check to see if they have that letter on their card. The first student to have four latters in a row (diagonal, horizontal or vertical) wins. This game has many variations so it may be played a number of times without the students tiring of it.